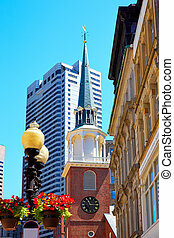 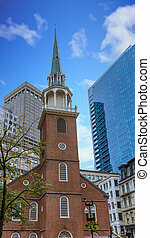 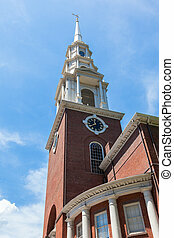 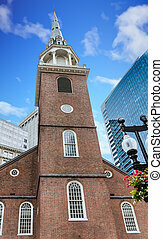 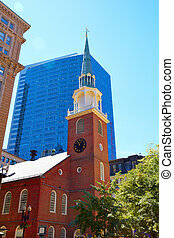 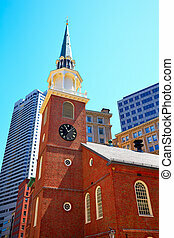 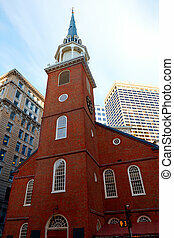 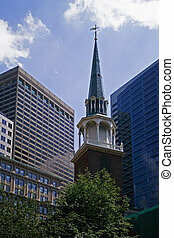 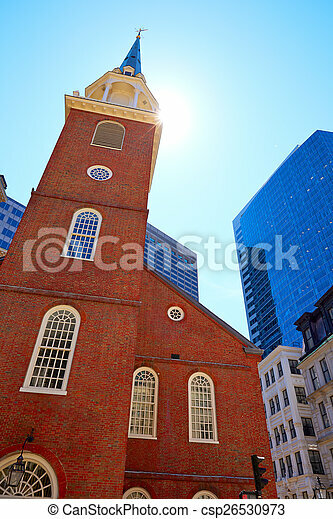 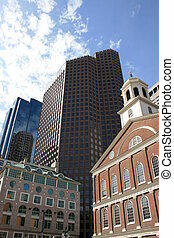 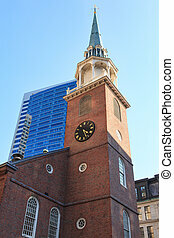 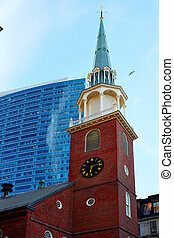 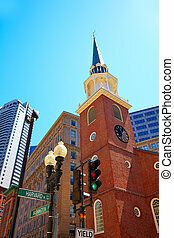 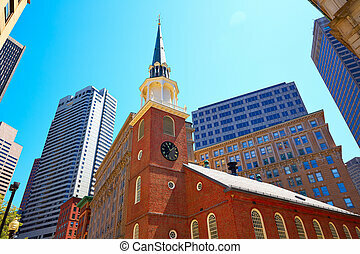 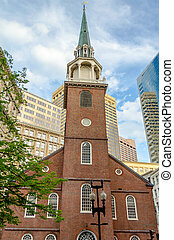 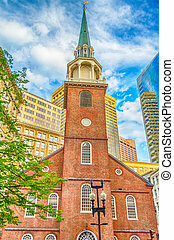 Boston old south meeting house historic site in massachusetts usa. 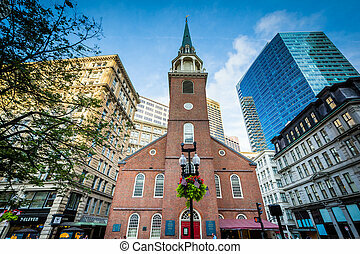 The Old South Meeting House, Boston, Massachusetts. 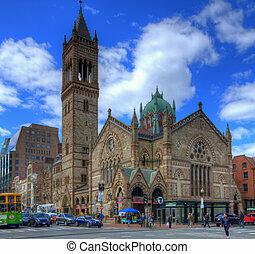 BOSTON - APRIL 7: Old South Church April 7, 2012 in Boston, MA. 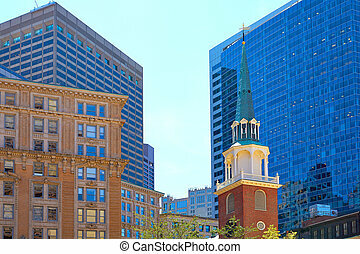 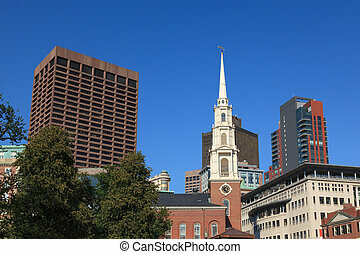 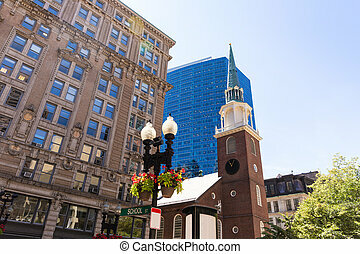 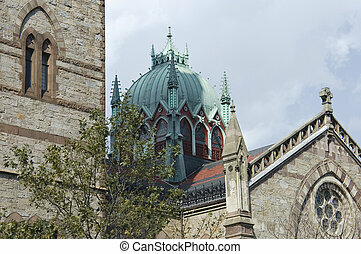 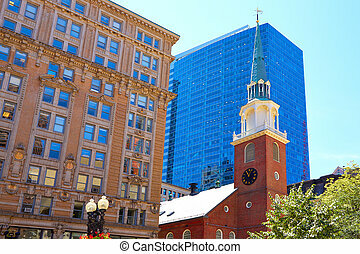 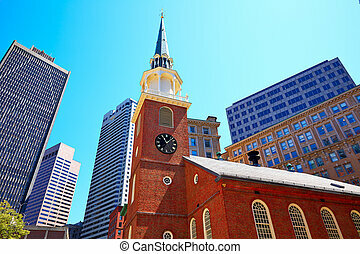 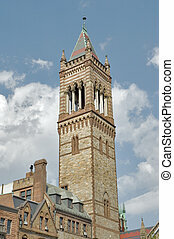 Built 1874 in the Back Bay section of Boston, it is a National Historic Landmark housing one of the oldest congregations in the U.S.
Faneuil Hall and downtown Boston skyline.